Samsung’s first official reveal that it will be bringing displays with notches to the market came at its developer conference earlier this month. One of these displays, dubbed Infinity-O, will have a hole in the corner of the screen for the front camera, and it’s expected to debut on the Galaxy A8s that Samsung teased at its Galaxy A9 (2018) launch event in China. We recently got a possible glimpse at the Galaxy A8s display assembly, and a new leak is now claiming to show a screen protector for the device. The screen protector in the new leak looks more legit than the Galaxy A8s display assembly. The hole in the top left corner of the display seems to be quite big, with one rumor claiming it’s about 6.7 mm in size. However, the bezels below and above the display are noticeably smaller than any current Samsung phone with an Infinity display. But that hole will still be an eyesore, and it will be interesting to see how Samsung will go about ensuring the hole doesn’t become too much of an obstacle in the viewing experience. 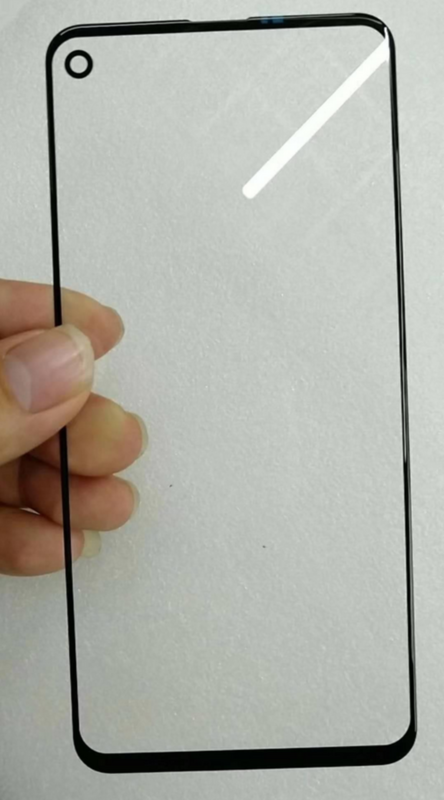 Check out the picture of the screen protector below, then tell us in the comments whether you think it’s the real deal and your thoughts on Samsung’s imminent entry in the market of notched smartphones. This could be a different companys aproach on screen projecter design for the S10. Already there are different kind of screen projecters for S9 etc, some with camera cut some without. Do we have the dimensions for this screen protecter? A hole isn’t quite a notch… 😉. It’s not as bad, but still not good. Whether it’s a hole or a notch it’s still stupid to have a flaw on the screen. A small bezel to hold the camera would be better. If there’s no headphone jack on the Note10 screen I’ll probably keep my Note9. If there’s a hole in the screen , I’ll DEFINITELY keep my Note9! Waiting for next samsung flagship since months, but after samsung decision to include a notch makes me cringe. I think i have to wait another year for notchless S11 maybe with in display front camera (i hope so). Please Samsung if you hear us don’t go with the hole 🕳..